Named due to its significant presence in the Esplanade Park where many of Singapore’s historical landmarks are located, the Esplanade Theatres building is designed by DP Architects from Singapore and Michael Wilford & Partners from London. It consists of two rounded space frames fitted with triangulated glass elements and sunshades, which balance outward views with solar shading. As Singapore's national performing arts centre, the Esplanade Theatres believe in making the arts accessible for everyone. It is one of the world's busiest arts centres, offers a wide range of programmes and continue inspiring audiences and cultivating the arts scene. This place produces and makes Wuyi rock-essence tea, the forefather of Oolong Tea available. Their tea originates from Wuyi mountains, a Unesco world cultural and national heritage site in Fujian province, China. Because of its unique mineral rich soil, ideal climate for growth of tea plants and unparalleled expert tea processing techniques, the region produces one of the finest teas in the world - uniquely Wuyi rock essence tea. This is a go-to record store for jazz, audiophile, hip-hop, electronica, and indie aficionados alike in Singapore. It offers a wide and tightly curated mix of vinyl records and other music and analog items, including books and magazines related to music and culture. The Analog Room, located adjacent to The Analog Vault, is a new retail concept featuring a superlative analog sound system, DJ console, and whisky tasting bar, and is expected to play host to audiophile listening events, DJ sessions, music education workshops, and whisky tasting events. This place specialises in original movie posters, memorabilia and other prints ranging from rare premium posters to affordable art decorations. 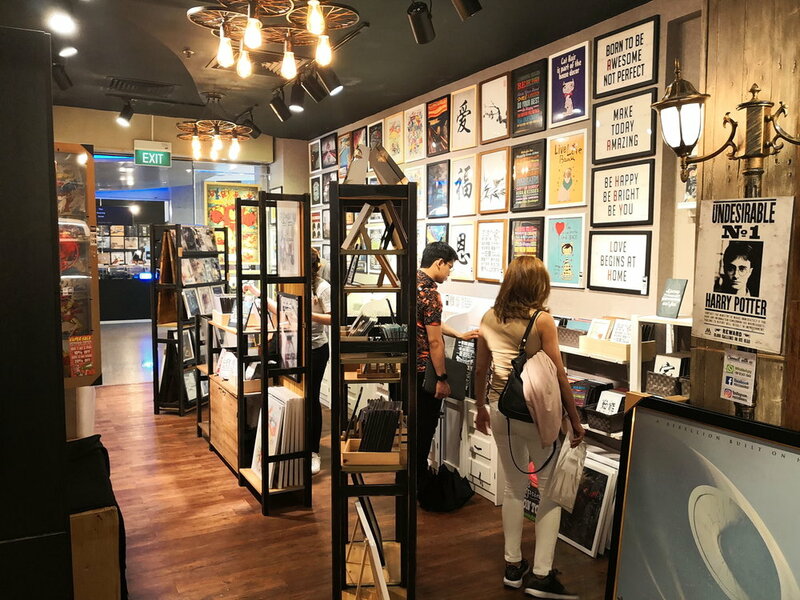 Through special collaboration with artists and licensed manufactures, the Poster Hub has more than 800 designs of Art Prints and posters from all over the World, probably the biggest collection in Singapore. This is a place for all pop culture junkies. The Esplanade Theatres is a 10 minutes walk along the Marina Bay Waterfront Promenade from the Helix Bridge.